When Huxley dreams of going deep sea fishing he finds that buying a ticket for the trip from Horace is not easy. What with the advance bookings and council regulations Huxley and Sam are lucky to get the last two places. 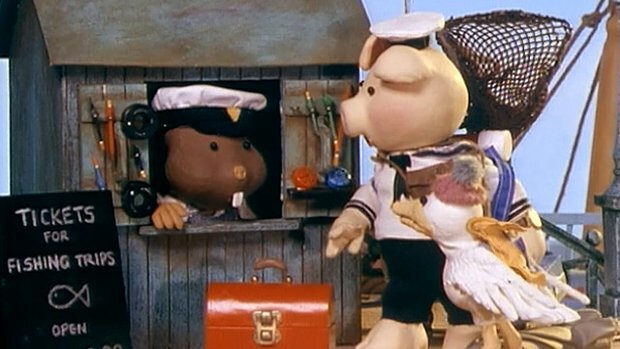 Once aboard they find that their fellow fishermen are Cuddles and Vile Vincent, Sidney is second mate and Horace is the Captain. When it is discovered that the first mate has absconded with all of the fishing gear Huxley suggests a game of tag. Cuddles overturns the boat in his excitement forcing the passengers and crew take to the lifeboat.